Franck Ribery, Marco Reus and Radamel Falcao could all reasonably claim to be their side’s most important attacking player, but while France, Germany and Colombia have adequate replacements, Russia don’t have someone who can play Roman Shirokov’s role. The loss of the dynamic goalscoring midfielder and captain is a huge loss, and means an already unexciting Russia side now appears even more unappealing. It may even force Fabio Capello to change his shape, tilting the midfield triangle to include two holding midfielders rather than one. Upfront, Alexander Kerzhakov was widely panned for his goalless Euro 2012 performance, but his excellent movement in that competition, which opened up space for midfield runners, was cruelly overlooked. He was a regular throughout qualifying and could keep his place here – expect some clever darts towards the flanks, dragging opposition centre-backs into poor positions. Others will dart past him into goalscoring positions, although Shirokov was the best at doing this. The biggest goal threat, however, is Alexander Kokorin. There’s a good chance he could be fielded in the striking role, with Yuri Zhirkov coming into the side, although Capello generally sticks by a non-goalscoring striker like Kerzhakov. Kokrorin therefore seems likely to dart infield from the left, where he’s very lively but not consistent with his end product. Aleksandr Samedov will probably start from the right, and is more of a direct winger than a withdrawn forward. In the midfield zone, Capello has generally favoured one strict holding player, with two breaking forward. The holding player was always likely to be Denis Glushakov, a slightly strange player as he used to be much more adventurous. He brings more guile than Igor Denisov, who played the holding role at Euro 2012, but could Capello play them both after Shirokov’s injury, allowing Glushakov higher up the pitch? Then, there’s the Shirokov role. It could be Glushakov in that position, it could be Zhirkov, it could even be Alan Dzagoev, who was brilliant at Euro 2012 but has fallen out of favour under Capello – he’d offer dribbling ability from a central role, but in terms of discipline is unlikely to be trusted. Therefore the more likely candidate is Oleg Shatov, another small tricky dribbler who can shoot from range – although Capello will probably rotate his midfielders throughout the tournament. The backline is well organised, as you expect under Capello, but lacks mobility. Russia also have a habit of conceding 90th minutes goals, doing so three times in the qualifiers and twice more in recent friendlies, which is a concern. Right-back Georgi Shchennikov is nothing more than steady, with Alexei Kozlov another option. Left-sided Dimitri Kombarov is more exciting, gets forward more, and is good technically – although it’s not as exciting as when Zhirkov once played there. The centre-backs are Sergei Ignashevich and Vasili Berezutski, long-time partners for both Russia and CSKA. They’re not dissimilar – good on the air, but slow on the turn and extremely poor when opposition strikers run the channels, and they’ll struggle massively against pace. 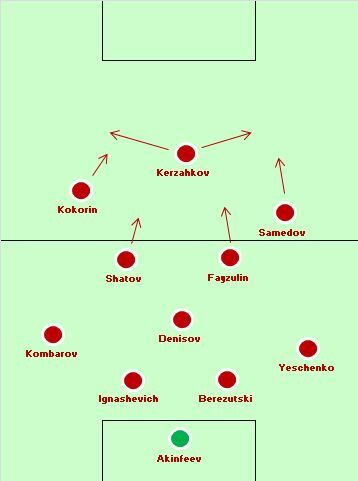 Of course, Capello guards against that by instructing the side to defend deep, which is why his midfield feels so workmanlike, and why Dzagoev is unlikely to claim a starting place. There are, in fairness, some good counter-attacking players in midfield, and Kerzhakov will hopefully get praise for his selfless centre-forward play. But this is a rather unconvincing starting XI, and Capello’s poor showing at the last World Cup doesn’t suggest he can lead his players to victory. The biggest positive for Russia is that they’re in one of the easier groups in the competition, and are playing matches in the south of Brazil, generally in the evening, so the climate shouldn’t be a huge problem. They are well-organised, and difficult to break down, but there’s no reason to think they can cause an upset. They don’t have the quality of 2008 or 2012, and are depending upon various young players with minimal continental or international experience. We’ll see you in 2018. What happened to Zyryanov? Did he retire? He shuttled relatively well from mid too. He didnt retire, he s 36 y old, and has fitness problems. Hes rarely plays for Zenit, mostly comes from the bench. 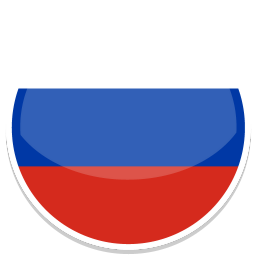 This Russia side definitely has less talent than previous years, but they have a strong organised team that is hard to break down. I think they could top this group by playing boring unattractive football but getting results against the less efficient teams in this group (including Belgium). Shirokov is a big loss though as ZM says, and his replacement will be key to Russia’s chances (I would opt for Dzagoev). Seeing as they will likely play Germany or Portugal in the next round, they have a very low chance of making the quarter finals. They will likely frustrate either team, but don’t really have the quality to punish them on the break.